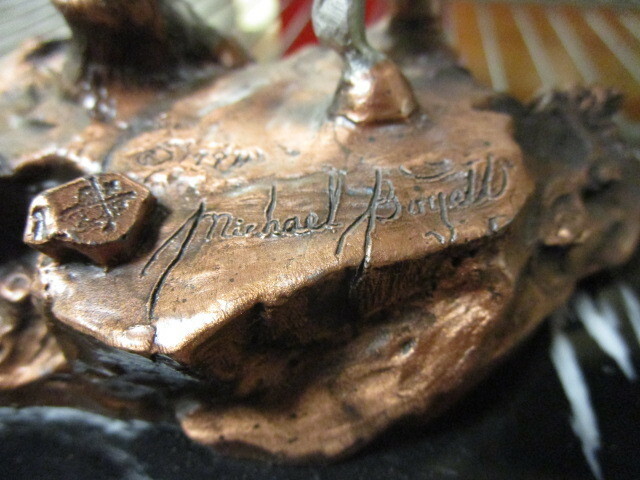 Legends sculpture by artist Michael Boyett. 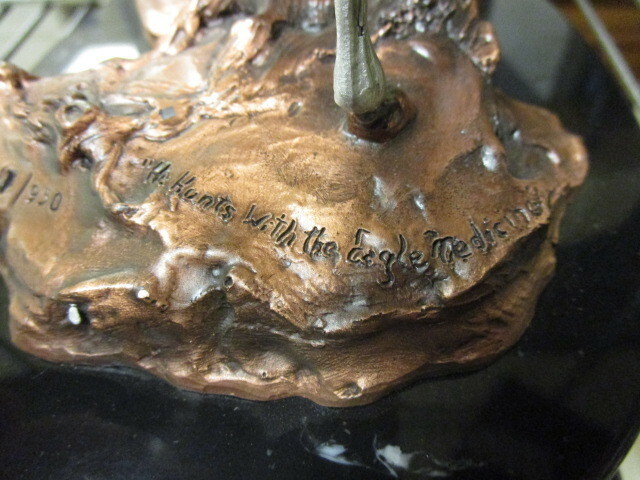 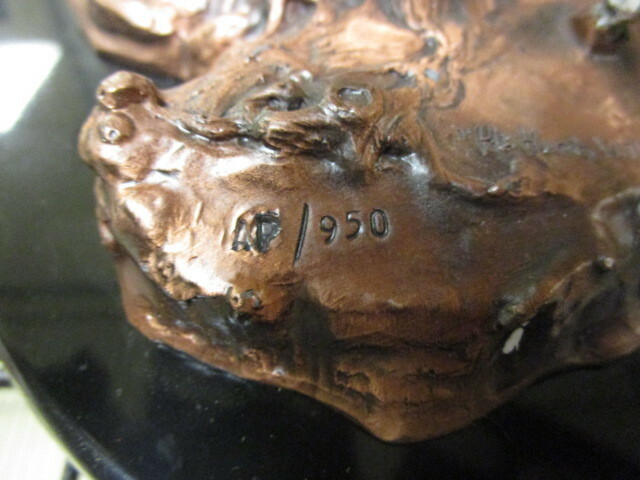 It is an Artists Proof # 950 titled "He Hunts with The Eagle Medicine". 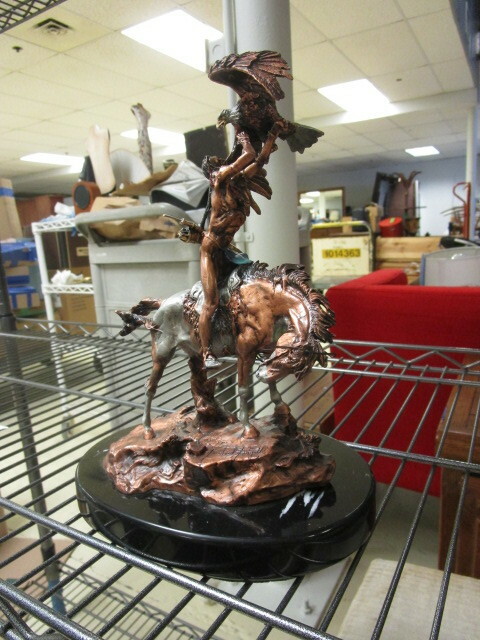 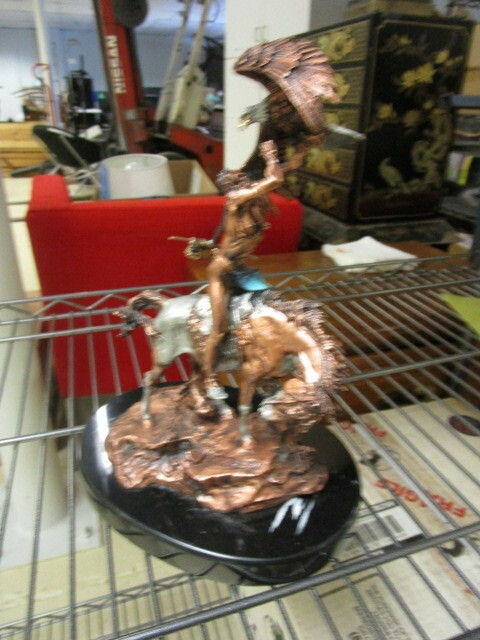 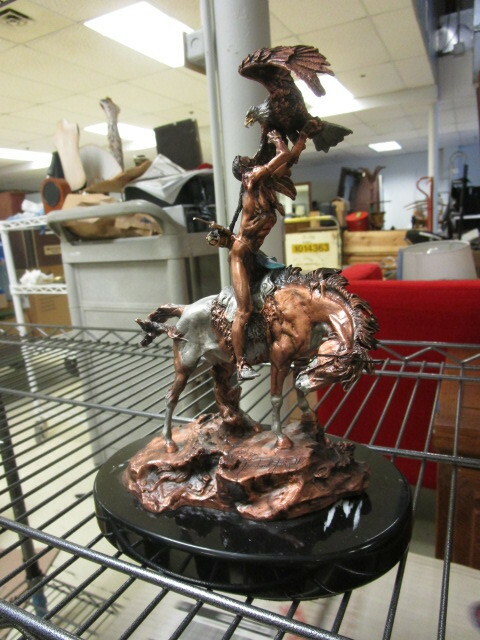 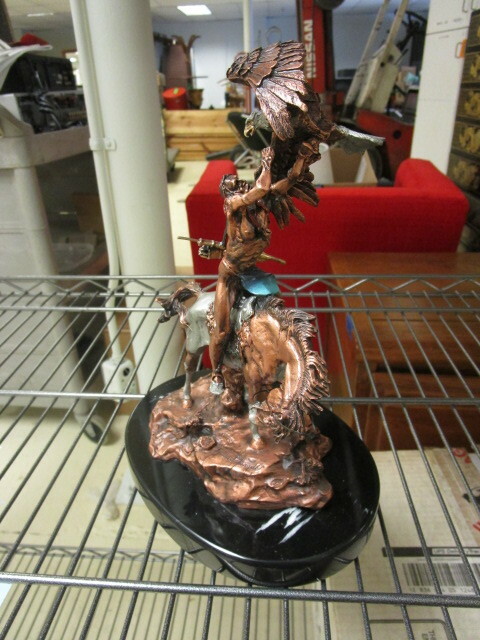 The mixed media statue sits on a black marble base, has a bronze, silver and gold patina, is 10" tall and is in very nice condition.